Kendra Mangione has been an online journalist and digital content editor with CTV News since 2012. 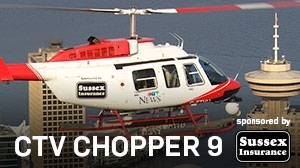 She joined the CTVNews.ca team shortly before graduating from Ryerson University's Journalism program, and helped manage the site's video content, social media, livestreams and photo galleries. 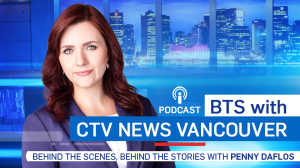 She covered major news events including Hurricane Sandy and Pope Benedict's resignation as a digital content editor, before turning her attention to local news as the head web writer for CTV Toronto. 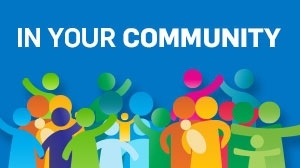 Kendra covered the Toronto's climbing real estate market, Rob Ford's stint in rehab, weapons suspensions in the TDSB and the Jian Ghomeshi trial. She also wrote about crime rate, traffic trends and Uber's controversial start in the city, and was first to cover a story that made international headlines: a boy's apology to the Toronto Public Library for ripping a page while reading in bed. 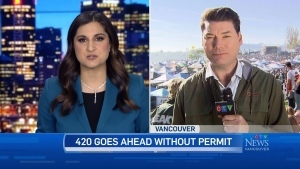 She transferred to CTV Vancouver in April 2016 as a web reporter and digital content editor, where she has covered daily news including local crime and politics, as well as longer-term topics like education and real estate trends. As a member of the web team, Kendra writes and researches articles, edits video and posts to social media. She also serves as the team's web developer, creating microsites for major news events. She loves municipal politics, weather events and animal stories. 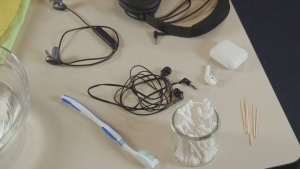 Kendra was a finalist for digital awards from both the Jack Webster Foundation and the Radio Television Digital News Association for coverage on the Vancouver School Board and bacteria found in local hotel rooms. 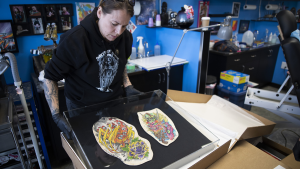 Cheryl Wenzel unboxes display cases containing her late husband Chris Wenzel's skin, which was professionally preserved for the sake of his tattoos.